It’s been a week now; phone wires down and internet service out for half the day, two trucks and an crew of almost a dozen to take this giant on. We’re on edge as the concrete jungle creeps ever nearer the beloved sanctuary and refuge of our urban arboretum. 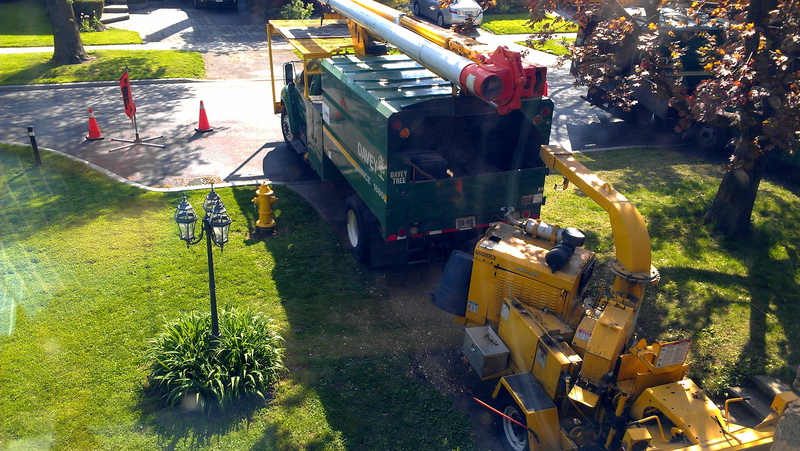 The incessant buzz of chainsaws and wood chippers has my head pounding and eyes growing heavy. There’s clear cutting going on in my neighbour’s backyard and it’s heartbreaking to see an ancient tree being ripped down, limb by limb. Torso thick logs lugged and cavalierly tossed into the chipper. Decades of growth reduced to bark chips a moment later. 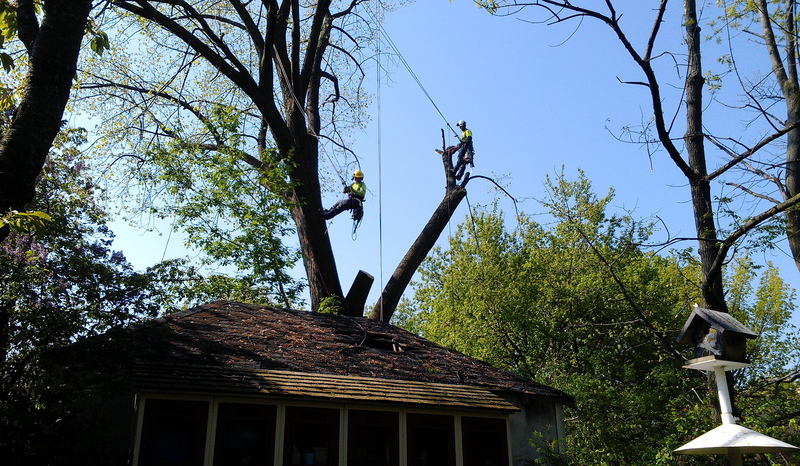 Farewell old linden tree. You’ve served us well. A playground and nursery for numerous litters of raccoons, home to generations of birds, squirrels, countless insects and more recently the rabbit we call Garden Bunny. Goodbye to the deliciously cool shade you provided during the dog days of August, the privacy you’ve afforded many of us neighbours and the endless supply of fresh and fragrant air. Stripped to the root, the yard now lays bare, naked for all to see the flaws of the landscape open and exposed. Magnified, in fact, as the glorious sun rushes in to fill your void. Picking up the pieces of scattered leaves and fallen branches, we welcome the warm stranger to these once shaded parts, though still in mourning we remember the cool friend who always had our backs.